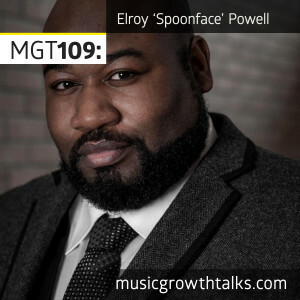 EElroy “Spoonface” Powell (Spoon) is a British voice artist, actor, music publisher and social entrepreneur. After achieving international success as the voice behind a Black Legend hit, “You See The Trouble With Me”, he experienced all possible ups and downs the music industry has got to offer. He shares his experience in a new short book he wrote, called “How To Think Beyond A Chart Position”, to offer fellow artists and musicpreneurs support with a focus on balance and wellness. On this Music Growth Talks episode, Spoon talked about his own path to sustainability, and gave a great creative advice to help you feel less anxious about the music you put out, among other topics we covered. Listen to this episode in full to also find out how marshal arts influenced Spoon’s mindset, and to learn a brilliant advice on marketing your brand.